Between the expense, the effort, and the specific expertise, we won’t pretend to be experts when it comes to the real estate game. We have learnt quite a lot about it simply through our post-construction window cleaning work… but this has only emphasized for us how difficult and stressful the whole process is! Whilst we’re not experts, though, we do know one thing to be 100% true: if you want to sell or rent your newly-built property for the highest possible return – whether it be in Bloomfield Hills, Birmingham, Detroit or Troy – you need to get professional post-construction window cleaning. If you fail to do this, there’s no telling how much money you’ll be costing yourself. This might seem like an exaggeration, but it’s really not. The amount of money you receive for your property depends entirely on other people’s valuations. Real estate appraisal is partly determined by factors like location and sheer square footage, but a huge part of it simply comes down to another person’s perceptions. In these circumstances, creating an excellent first impression becomes incredibly important. A poor first impression can prove extremely difficult to overcome. A great first impression can positively influence the entire appraisal. Windows are something that many people take for granted, when it comes to these first impressions. When you see the same windows every day, it’s difficult to notice as they become more and more dirty. This is a huge mistake, though, and must be avoided at all costs. This is particularly true when it comes to newly-built properties. Following the construction process, your windows will have been exposed to all manner of unwanted substances – paint, silicon, general debris, and so on. When this nasty cocktail is accidentally but inevitably applied to your windows, it can make them look very grubby indeed. In turn, this both projects an air of dirtiness to a visitor, and simply makes the place seem darker, as less light is allowed inside. Needless to say, this combination is not desirable. Even though your property is brand-new, it will seem dark, dirty and generally unappealing. That all sounds pretty gloomy, right? Well, the good news is that it’s extremely easy to take care of! Literally all you need to do is get in touch with J&M Window Cleaning, and book us in for a session of post-construction window cleaning, whether you’re based in Birmingham, Detroit, Troy or Bloomfield Hills. We’ve got a huge amount of experience in providing this service, having been helping out property developers across Metro Detroit since 2003. This means that we’ll work quickly and efficiently, and that we know exactly how to get the best results for your specific property, depending on its shape, size, and the type of glass that’s been installed. Post-construction window cleaning might seem like yet another unwanted expense, after an already-lengthy and expensive process. Nothing could be further from the truth, though. It’s a part of the process, and an absolutely vital one at that. 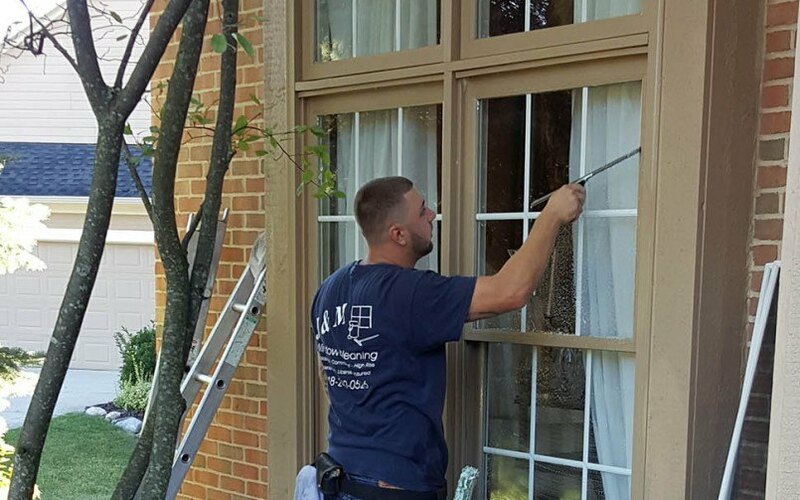 To learn more about post-construction window cleaning in Troy, Detroit, Birmingham and Bloomfield Hills, or to book in J&M Window Cleaning straight away, just send an email to CleanWindows@JMWindowCleaning.com, or call (248) 605-2243.